By day the refurbished Victorian warehouse studios in Kensal Green house a wealth of activity as photographic studios.The building is comprised of 6 studios including some great outdoor courtyard spaces; the perfect balance between sleek and modern while still filled with character, charm and edge. With 5 interlinking spaces inside and the outdoor courtyards, this really is a blank canvas and a space you can make your own. The contrasting textures in each room of exposed brickwork and wooden flooring against high ceilings and large windows serve as the perfect industrial base to build on. 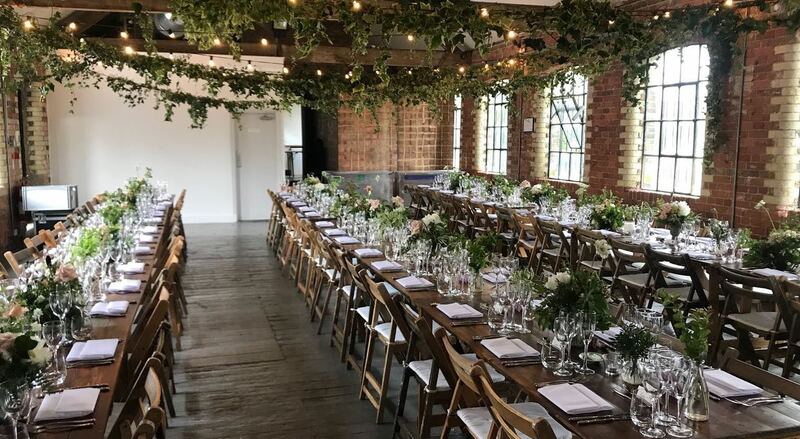 The spaces can be transformed into all manner of environments and can serve everything from Corporate Events to Weddings, Parties and Private Dinners. We’re a very friendly bunch – come say hello!